SIPCOT Recruitment 2018: The State Industries Promotion Corporation Of Tamilnadu Limited is recruiting 12 candidates to fill their Assistant Engineer Civil & Electrical jobs in Tamilnadu State. Candidates are suggested to go through the latest SIPCOT Tamilnadu job notification 2018 fully. Before applying for this SIPCOT Recruitment 2018 job read the entire notification. State Industries Promotion Corporation Of Tamilnadu Limited is coming under the Government Sector job. This is the best excellent opportunity for the job hunters who are looking for the career in SIPCOT Tamilnadu organization. 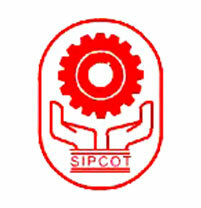 As per the latest news sipcot.com organization job online mode collects applications. SIPCOT Tamilnadu has started inviting the Assistant Engineer Civil & Electrical job online applications from 23rd August 2018 to 06th September 2018. The interested and skilled candidates can able to apply for this job easily by visiting the official online portal. Do not miss the fantastic career job opportunity in State Industries Promotion Corporation Of Tamilnadu Limited organization. The detailed information on SIPCOT Recruitment 2018 Tamilnadu latest job notification has been given below. The job applicants are requested to read below the SIPCOT Tamilnadu job selection process, SIPCOT eligibility, salary, Assistant Engineer age limit and applications fee in our Tamilan Jobs website. Aspirants stay tuned to this page freshersnow for upcoming changes in SIPCOT Tamilnadu Civil & Electrical job 2018. Assistant Engineer (Electrical) – People should possess B.E, B.Tech. Degree in Electrical & Electronics Engineering (EEE) of a recognized University / Institution with 1st Class (or) 60% and above marks in the above examinations. All the Educational qualifications, Graduation etc., shall be from a University / Institution recognized/approved by AICTE / Government. The degree qualification shall be Full-Time Courses Only. 10th + HSC, Diploma + U.G. Degree, from any University or Institution, recognized by the AICTE or Government. Maximum Age – 30 years. Search for SIPCOT Civil & Electrical Recruitment notification 2018 link in Advertisements page. View and Download the official notification in their official website itself. Check your eligibility to SIPCOT Recruitment 2018 and if you are not eligible for the job notification, ignore and leave space for others. Take print your SIPCOT Recruitment 2018 application form for future use. Date, Venue and Time of Written Examination – The written examination will be conducted on 30th September 2018.